I first downloaded kakaotalk about 2 months ago. I have been using the app since and if anything, I have fallen deeper in love with the app than when I first got it. 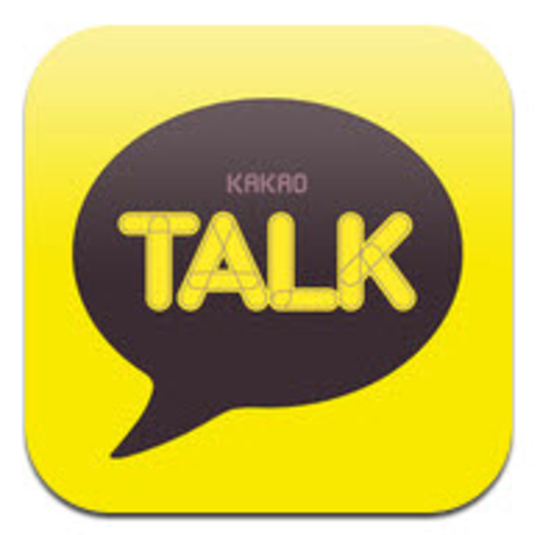 Kakaotalk is a free messaging application for smartphones. It is also available on ipods and ipads, however you need to activate the app on a mobile device first. The application is based in Seoul, Korea and was founded by Kim Beom-Soo. Some features of kakaotalk include 12 different language translations available, contact sync with your phone book, group chat, emoticons, free calling, and theme customizations. I think it’ll be easier to organize all the things I have to say about this app into 2 categories: pros and cons. Free messaging: As long as you have wifi, you can text domestic or international free of charge! And if you use 3G or 4G then data rates apply based on your text/phone plan. Sounds too good to be true right? Well I thought it was a little strange at first too… which is why I hesitated to download it for the longest time… but it’s not a scam. This service is great especially if you have international friends that you want to keep in touch with. After coming back from Korea, I missed A LOT of my Korean friends but it was so hard to keep in touch with them- they either didn’t use fb or didn’t check their fb often and email was too slow -_- So kakaotalk is a wonderful service to me because it’s like I’m texting my Korean friends… but free of charge! Free calling: This is a new feature that has been added to kakaotalk recently and I haven’t been able to use it much, but I think it’s a nice feature to have available. I’ve only used it twice (maybe?) with my sister and the quality is pretty good! hehe~ and they even have 2 voice filters available (monster and alien) so I guess it adds a little jazz to the conversation. Emoticons: The emoticons are super cute and make chats enjoyable! Unlike iphones, android phones don’t really have all that many emoticons available (the ones that are available are all aliens). Plus, as an android user, I don’t receive emoticons from iphones… but kakaotalk fixes this problem! hehe~ in kakaotalk many more emoticons are available and all users can see the emoticons you send! Maybe it’s not a big deal to you, but I get quite giddy over using emoticons LOL. Plus Friends: Okay I also don’t really use this feature, but kakaotalk let’s you “plus friend” kpop idols. It’s nice to have to option to “friend” your favorite kpop idols and be updated on the latest news regarding them. Sometimes they upload photos and sometimes they even upload voice messages for their fans! Again, I don’t use it, but I’m pretty sure a lot of kakao users DO plus friend idols. Theme Customization: What’s really cute and adorbs about this app is that you can customize it! You can either change the background of your chats to a photo of your choice or download themes from, in my case, the Google Play Store. And there are tons of cute themes you can choose from~ I downloaded a few and I switch the themes every once in awhile. Phone Book Sync: This makes it easy on you… kind of. Since the app registers your number, it automatically adds people from your phone book to your kakaotalk contact list/friend list. So instead of asking ALL of your friends for their kakao, they will automatically show up on your list. Saves you time, no? Blocking: I’m very disappointed in the blocking system of this app. Even though you will stop receiving messages from the blocked user, they can still see your profile and your photo… to me- that’s not really blocking an unwanted user. If I chose to block someone, I’d want them to be unable to access anything related to me on the app. Emoticons: Not enough. Seriously. The emoticons are cute and all… but there are only 3 sets of emoticons and if you want more, you have to either buy or use the free ones (that expire) from the Item Store. Highly highly unsatisfied with this fact. >.< Also, the U.S. version has less emoticons and specifically, less cute ones! The Korean version has a greater variety of cute emoticons… but they have not developed such cute things for the 외국인s yet. Hope this gets fixed 빨리빨리 ! Message Read Sign: Sometimes this is good, but most of the time… it’s just annoying. In a chat room, after you send a message to the other user, a number will appear next to your message. The number depends on how many people have to read the message. So let’s say I’m chatting with user “A.” I send a message to A and a 1 will appear next to my message. If A reads the message, the 1 will disappear. If A doesn’t read the message, the 1 will remain there until A reads it. Sometimes I run into the problem of reading a message… not knowing how to respond so I don’t… and then the other person keeps hounding me for an answer. This feature is too creepy stalkerish if you ask me. No Control: … of being on other people’s list. Let’s say user “B” knows my ID and adds me to their contact/friend list, but I don’t want to be on B’s list, I have no say in that. Maybe this bothers only me… but I’d like to have some sort of control over who’s list I’m on LOL. Absent Video Call Feature: No explanations required. haha. I just think a video call feature would be an awesome asset to kakaotalk. To summarize, I think this app is just absolutely amazingly brilliant. Maybe I think this because I’m in love with it… O_O I mean, there are other messenger apps out there, such as kik, LINE, and whatsapp, and I personally have never tried those apps before so I can’t really say… but from screenshot comparisons, kakaotalk is definitely the CUTEST app. If you are a cute person or like cute things, kakaotalk is a great choice.